Given a choice fishetarians would love to get their hands on the freshest catch of the day, however, considering many don’t have the time to fish for themselves, most rely on local fish markets to get their daily produce of seafood. However, even here there’s no guarantee that you will get your hands on some rare finds even if you pay a premium. Here’s where Off The Hook steps in to fish some of the freshest produce for you. Off The Hook is a specialist seafood retail store located at Breach Candy. It was conceptualised a couple of years ago and work towards its execution began sometime last year. The store officially opened in May this year at the Indian Oil Petrol Pump at Warden Road. 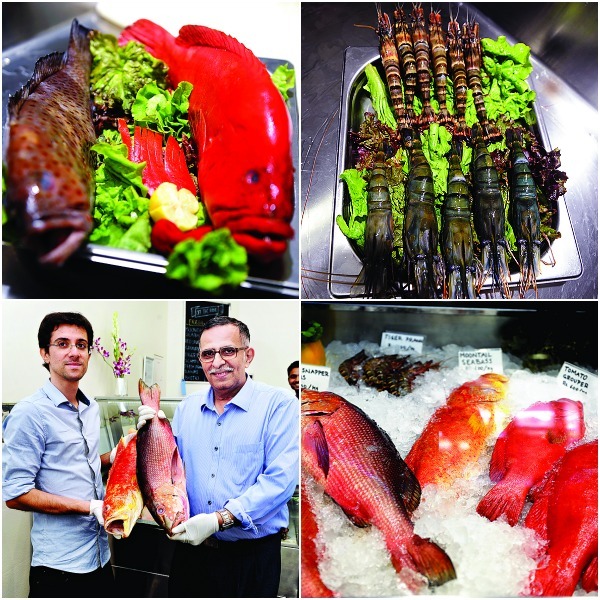 Started by Junaid Daruwalla and Firdosh Daruwalla, ex senior sous chef at the Taj Mahal Palace, it draws inspiration from reputed fish markets across the globe. Junaid says, “We have been in the seafood business for a long time now. For the last 25 years, we have been distributing our products to various gastronomy restaurants and luxury hotels across the globe. We wanted to bring these great products to the local market and have the people of Mumbai try these wonderful varieties of fish. We have taken inspiration for the products from various seafood markets around the world. The two most important aspects are quality and hygiene, which we will never compromise on. Our goal is to offer the people of Mumbai a wide variety of seafood that is not as easily available here from other vendors. Fish like red snappers, spotted groupers, sharp tooth snappers, grey snappers, seabass, mahimahi, emperor and halibut are all available fresh or as frozen fillets. Sourced from across the world, these fish are line caught, and of a quality that is very hard to find in the docks of Mumbai.” They also stock locally sourced seafood and staples like pomfrets, surmai, rawas, prawns, tiger prawns, lobsters, crabs, mussels, squid and a variety of river fish. WHERE: Off The Hook, Indian Oil Petrol Pump, Bhulabhai Desai Road d, Mumbai 400026. Call 022 6550 6556 for home deliveries or any inquiries or follow them on facebook (offthehookmumbai) and instagram (offthehookmumbai).